How will you survive dude? So here is the brand new alternative of job, try to make money online. If you are a superman you can even use these methods to earn after your 9-6 job. Make Money By Online Content Writing – Register yourself on freelance websites such as Elance.com and start bidding on content writing projects. You can choose content writing projects as per your interest. Also you can hire your friend who can write for you. In return you can give him some wine parties:). Start Earning Money With Your Website Or Blog – If you are not in hurry you can start your blog or website according to your interest. By following this way user can create a long term income source like Amit Aggarwal of Digital Inspiration. But yup don’t avoid Google guidelines and must read about Search Engine Optimization. Blogging is the most decent way to express about you and your knowledge to world so be careful about what you share. I am trying my luck here. Sell Stock Pictures – So you like to click pictures a lot then why not you give a try to stock photography. You don’t need to be a professional photographer you can start if you are even just a hobbyist. Sell Your E-Books Online – hey, writer you write so well then why are you hiding your talent. Why don’t you sell a drop of your wisdom ocean by writing and selling a E-book? Be An Affiliate Marketer – Affiliate marketing is a great income source for those who are having strong web presence. In Affiliate marketing what you have to do is refer some product or service to others. This can be done by use of social profiles like Facebook, Twitter and Linkedin as well. E-Tutoring, Be A Teacher – If you are good in teaching or teaching is your hobby you can start giving online classes by using Google+ Hangouts or Skype. If you think you are perfect in any subject then sign up on website like www.tutorvista.com as an online tutor to make money online free. Create an online store – So you are a person who born with millions in bank account then think out of the box and create an online web store. You can create something like EBay and Olx. Define your goal and do proper planning before investing capital and don’t forget to hire me for the SEO-SMO services. Earn Money with CPA – CPA stands for Cost Per Action. It is quite similar to affiliate marketing but an easy method of money making online than affiliate marketing. I always prefer CPA. Get paid for clicking ads and completing surveys – Here is the most decent method for lazy people like me. There few networks on web those will pay you for reading their emails and for completing their surveys. Don’t think it’s a spam, the most popular such network is ClixSense. Be a SMO – If you are suffering from Facebook fever then utilize your interest and be an SMO professional. Learn SMO online by video tutorials and be a freelancer SMO professional. Least but not last Data Entry Jobs – You can Google some data entry jobs online and spend your time in typing their data. Such jobs will also help you in getting decent typing speed. But don’t trust any random site for such jobs. Always go for the trusted web portals to find data entry jobs like Freelancer.com. 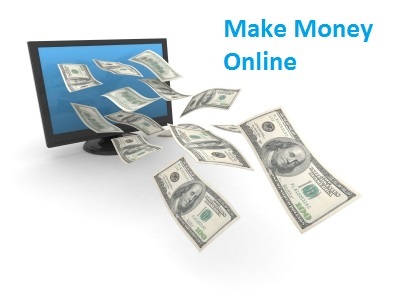 Conclusion – In the above blog I try hard to bring out the best methods of make money online. I am sure if any user follow any of them passionately he would be surely successful in earning something decent amount. I was just checking the website and then I see here only one article. I was expecting some more. Anyway, it is very nice to read your articles Tanya. Good to see your complain here, I will try to get some more make money online articles ASAP.